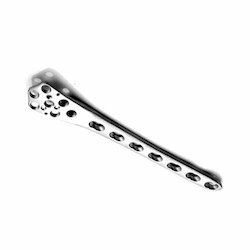 Providing you the best range of locking proximal humerus plate, reconstruction locking plate, titanium locking plate, bone locking plate, orthopedic locking plate and locking compression plates with effective & timely delivery. 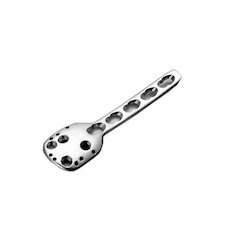 We manufacture and export a vast range of Locking Proximal Humerus Plate, which are used for the orthopedic operative measures and also suitable for the left or right humerus. 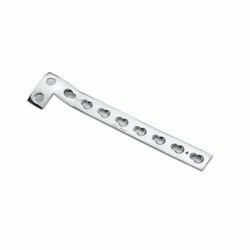 Moreover, the offered range is tested on different parameters to ensure that defect free products are delivered at clients' premises.Our range is offered to our clients in innovative designs that include the facility of locked plating. 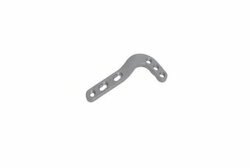 Levering on our immense years of experience and expertise in this domain, we have become the noteworthy manufacturer and supplier of a wide variety of Reconstruction Locking Plate. 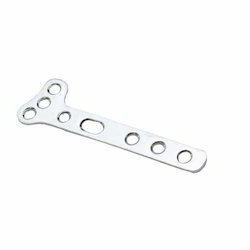 These plates are developed in compliance with the international standards of quality using finest quality factor inputs that is procured from the renowned vendors of the industry. 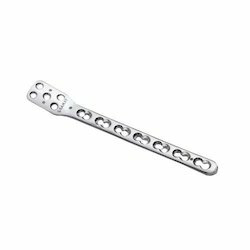 Owing to premium quality, high durability and fine finish, these products find wide implantation in orthopaedic surgeries. 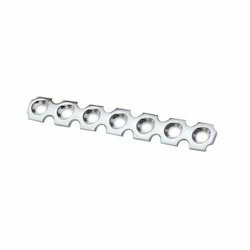 Being a quality oriented organization, we are engaged in providing superb quality assortment of Titanium Locking Plate. 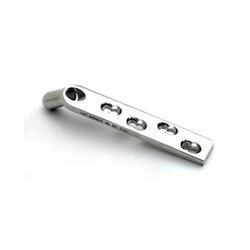 This Titanium Locking Plate is available in different specifications according to the requirements of the customers. 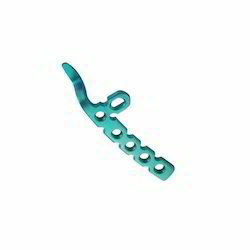 Our product range is highly appreciated amongst customers for its dimensional accuracy and excellent finish. 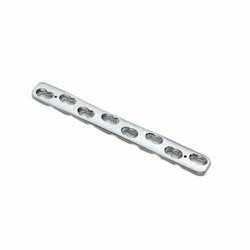 Matching up with the ever increasing requirements of the customers, our company provides supreme quality range of Bone Locking Plate. 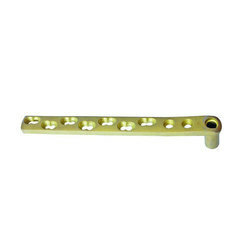 This Bone Locking Plate is available in varied sizes as per the demands of clients. 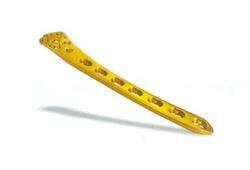 Furthermore, our product range is checked for quality under various set parameters of the industry. 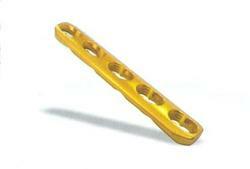 To meet the variegated demands of clients, we are instrumental in offering Orthopedic Locking Plate. 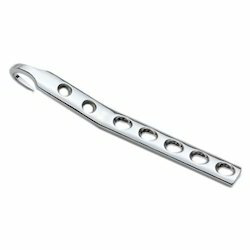 This Orthopedic Locking Plate is widely demanded in different hospitals, nursing homes and other medical institutions. Moreover, customers can purchase this product from us at pocket friendly price. 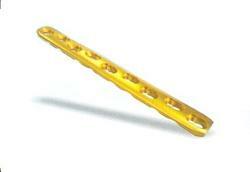 We are instrumental in offering our clients with Locking Compression Plates. 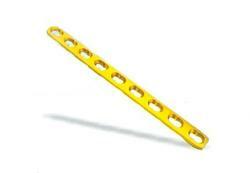 The products offered by us are available in various sizes, shapes and dimensions at industry leading prices. 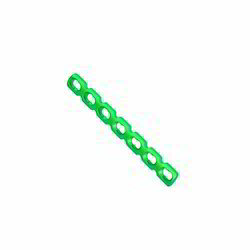 These products are widely appreciated by the clients for their corrosion resistance, dimensional accuracy and robust construction. Apart from this, we have a team of expert quality controllers, who test all the products on various parameters to assure their flawlessness. 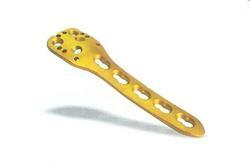 We are offering to delivering Locking Distal Femoral Plate. The offered range is available in different customized specifications and forms to comprehend and meet the diverse requirements of esteemed clients. We manufacture our range with the help of known vendors, who procure the qualitative raw material for the production of our range. Owing to their longer service life, excellent performance and superior quality, these products are highly demanded by the customers. 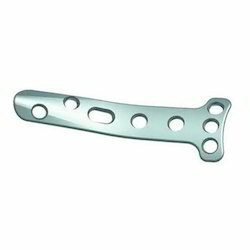 We are successfully ranked amongst the top manufacturer and supplier of a wide range of DistalFemoral Locking Plate. These plates are manufactured at our state-of-the-art manufacturing unit using superior quality material and ultra-modern technology. Further, our offered range undergoes stringent quality checking procedures to make sure that it is free from any kind of defect. Further, our offered range can be availed in various customized options as per our client’s requirements at market leading price.